WILLIAMSTON—Williamston Theatre presents the Pulitzer-prize winning play, The Gin Game from March 21 through April 20. Performances will run on Thursday, Friday and Saturday evenings at eight o’clock and Sunday afternoons at two o’clock. Starting March 30 three o’clock performance will be added to the remaining Saturdays of the run. The first four performances ,March 21 – 24, are preview performances where audience members will have the opportunity to take part in the process of creating a show by participating in a talkback session with the director following each performance. The official opening night is Friday, March 29 and the conversation Sundayis Sunday, April 14. Tickets are Pay-What-You-Can for the preview on Thursday, March 21. Remaining preview tickets are $19.00. Starting Thursday, March 28 tickets prices are $28.00 for Thursday evenings, $33.00 for Friday and Saturday evenings and $30.00 for Saturday and Sunday matinees. Senior citizens (65 and older) and members of the military receive a $2 discount on all tickets. Student tickets (with a valid student ID) are $10 for all performances. 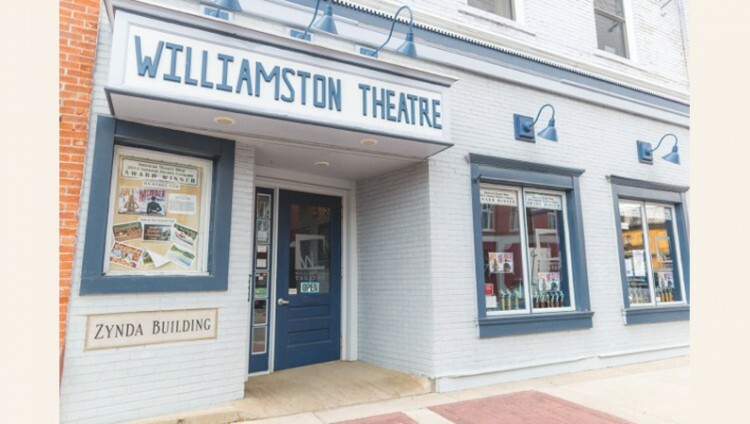 Tickets can be purchased Tuesday – Friday from 12-6pm by calling (517) 655-SHOW (7469) or by visiting the box office and ordered on-line up until 1 1/2 hours prior to the performance by visiting www.williamstontheatre.org. Weller Martin is playing solitaire on the porch of a seedy nursing home. Enter Fonsia Dorsey, a prim, self-righteous woman. They discover they both dislike the home and enjoy the game of gin, so they being to play. As they play, intimate details reveal themselves, and what follows was called by The New York Times “The closest thing the theatre offers to a duel at 10 paces”. Contains adult language. Appearing together for the first time on the Williamston Theatre stage in The Gin Game are husband and wife, Hugh Maguire and Ruth Crawford. Williamston Theatre’s executive director, John Lepard is director, Paige Conway is assistant director, and the production team includes scenic design by Gabriella Csapo, lighting design by Shannon Schweitzer, costume design by Holly Iler, sound design by Julia Garlotte and props design by Michelle Raymond. The stage manager is Stefanie Din.